DivX Player is the first of its kind, award-winning software offering free HEVC playback, including Ultra HD (4K), a must-have for those who appreciate high-quality video. Player is also optimized for movies, TV shows and web video clips in the Internet’s most popular formats, including AVI, DIVX, MKV, MP4 and more. Trick Play, our smooth FF/RW feature, lets you quickly navigate to your favorite scenes. Support for Chapter Points means you can access different scenes with a simple click without having to fast forward or rewind. Player’s media library keeps track of your purchased DivX content as well as your own videos imported from your computer. 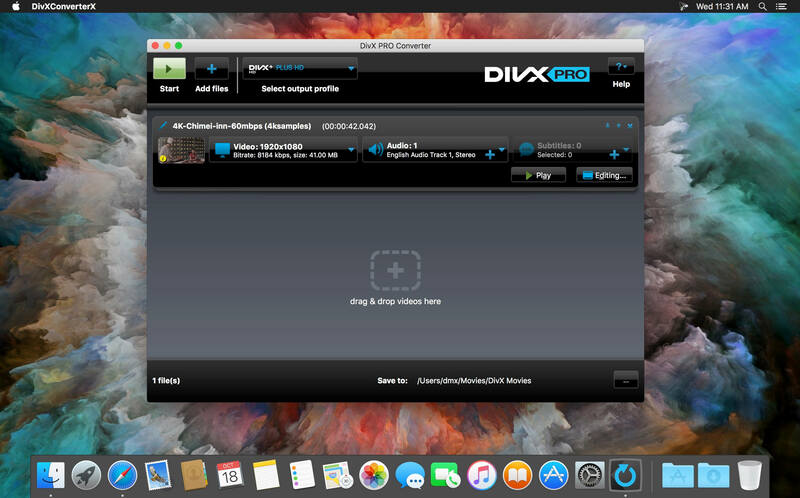 Create, play and loop playlists, and automatically add files from your DivX Movies folder. Support for multiple audio means you can switch seamlessly among soundtracks to hear other languages or director’s commentary all without interrupting the playback experience. Player also works with most popular audio formats. Easily find what you’ve been watching with Player’s built-in Recently Watched playlist. With Resume Play for videos and playlists you can jump right back into that scene and easily remember where in a series you left off. Converter comes equipped with DivX profiles for creating DivX, H.264 and HEVC videos compatible with more than 1 billion DivX Certified devices. iPad and iPhone presets optimize your video for playback on iOS devices. Four encoding modes for HEVC profiles give you even more control over when maximize quality or prioritize speed. Choose whether you want to get the job done fast, take your time for the best quality, or somewhere in between. Add multiple files to Converter’s queue so that you can set and forget it, or combine them into a single output file. Preset what Converter does when your conversions are done: sleep, hibernate, log off, shut down. Support for AviSynth scripting and an experimental CLI mode give you more advanced editing and post-production capabilities than DivX Converter alone. By adding MPEG-2 Plug-in, you’ll be able to convert DVDs to DivX for a better digital backup of your personal video collection. 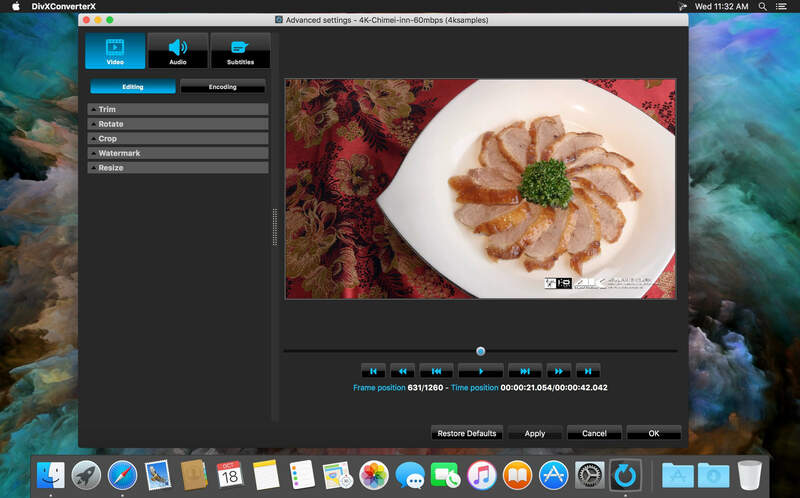 DivX Web Player is a simple web browser extension that streams video in all the formats that matter, including HEVC up to 4K, with progressive playback, adaptive bitrate and experimental live streaming technologies. DivX Web Player streams all the video formats that matter, including HEVC up to Ultra HD (4K)—a must-have for video quality aficionados. Watch stunning HD videos in your web browser in DivX, AVI, MOV, or MP4 through progressive playback or MKVs with adaptive streaming or experimental live streaming technologies. Many online video storefronts like Free's Disneytek, MediaMarkt and Movie MAX Online use the DivX Web Player to stream Hollywood movies and TV shows to your computer and devices. With the latest version of DivX Web Player installed, you’re already set to purchase and enjoy adaptive streaming of your favorite content in your browser. With its adaptive bitrate streaming, DivX Web Player automatically adjusts video quality to ensure the best experience even when your Internet connection slows. Hardware acceleration helps your computer handle those HD streams with ease. Support for chapter points and Trick Play—our smooth FF/RW—lets you jump to your favorite scene in a single click. When DivX Web Player begins its progressive playback, the ability to download is available after just a few seconds. This means you can save DivX videos for offline viewing later—on your computer, in your living room or on the go with your DivX® Certified device. The simple, cross-browser video player extension delivers true 5.1 channel surround sound (with AAC audio) with your video. Support for multiple subtitles and audio tracks lets you enjoy the video in your preferred language or extras like a Director’s commentary. 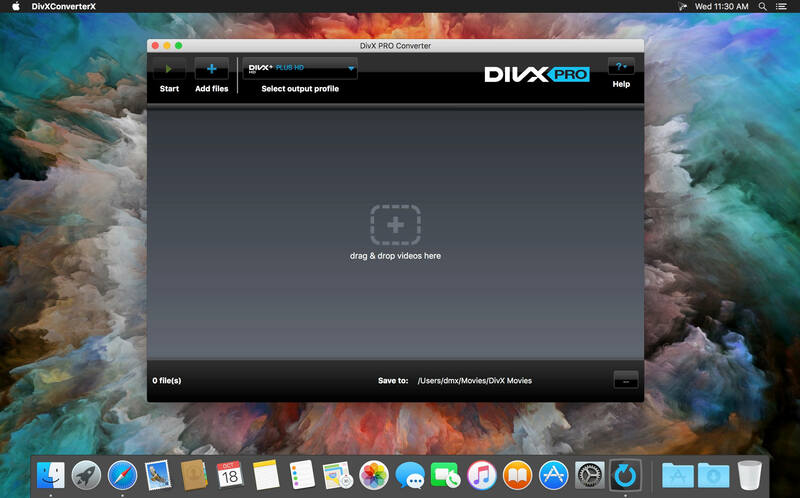 Want to put DivX movies on your website or blog? DivX Web Player is free to use for embedding high-quality videos with all these features in any website or blog. You can use a simple code generator to get up and running in minutes or geek out to make a fully customized embed.